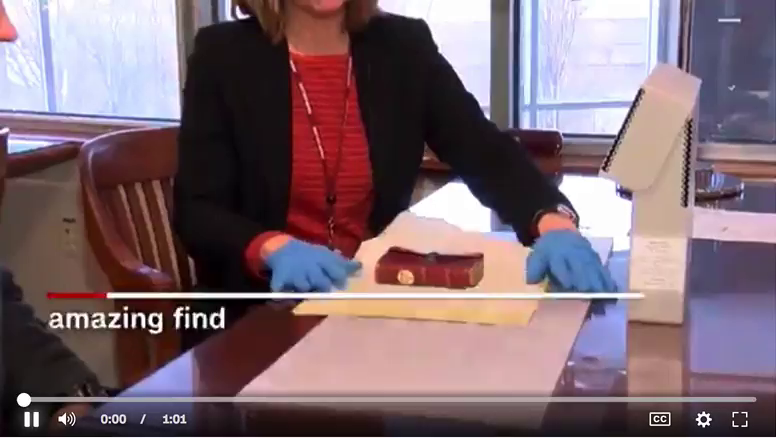 (by Brigit Katz, Smithsonian Magazine, Feb. 16) – In December, an archivist at Union College in Schenectady, New York, was sorting through some of the college’s oldest books and records when he spotted an 18th-century, leather-bound almanac that had never before been catalogued. The book was titled Gaines Universal Register or American and British Kalendar for the year 1793, and its pages were filled with population estimates for the American colonies and comparisons of various coins. 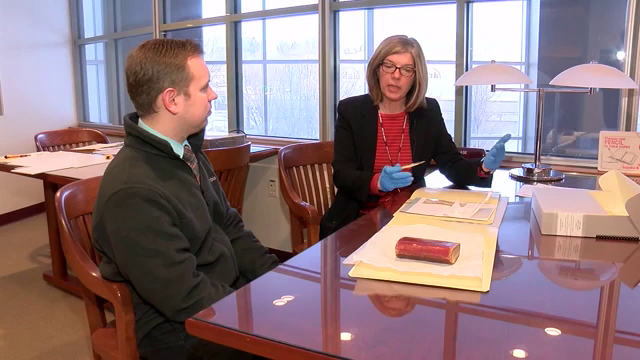 The almanac might not make for the most thrilling historical read, but as Sean Rossman reports for USA Today, inside the book was a fascinating relic: a lock of hair that, according to some experts, was snipped from the head of George Washington. But experts have reason to believe that the hair did indeed once belong to the Washington. Union College staff consulted with John Reznikoff, a manuscript and documents dealer who has collected the illustrious locks of Washington, Abraham Lincoln, Beethoven, Napoleon and other historical titans. The hairs at Union College can’t be subjected to DNA analysis, which would destroy them, but based on his examination of several photographs, Reznikoff is as sure as he can be that the strands hail from the head of the nation’s first president. “Without DNA, you’re never positive, but I believe it’s 100 percent authentic,” Reznikoff says, according to the Union College statement. How did a Founding Father’s follicles end up in a dusty almanac stored at Union College? Experts aren’t entirely sure, but it’s likely a convoluted story, one that reads like a “who’s who” of the Revolutionary era. Susan Holloway Scott, an independent scholar and author…says in the statement that she thinks it is “quite possible” that Washington’s wife, Martha gave a lock of her husband’s hair to Eliza Hamilton, the wife of Alexander Hamilton. The couples were close friends, and in the 18th and 19th centuries, it was common practice to give locks of hair to loved ones as a gift. The Smithsonian, in fact, is home to a framed display containing the hair of the first 14 American presidents. The locks were likely gifted to friends and family members. It isn’t clear why the hair was placed inside a book, or how that book came to Union, but the Schuyler family certainly had close ties to the college. 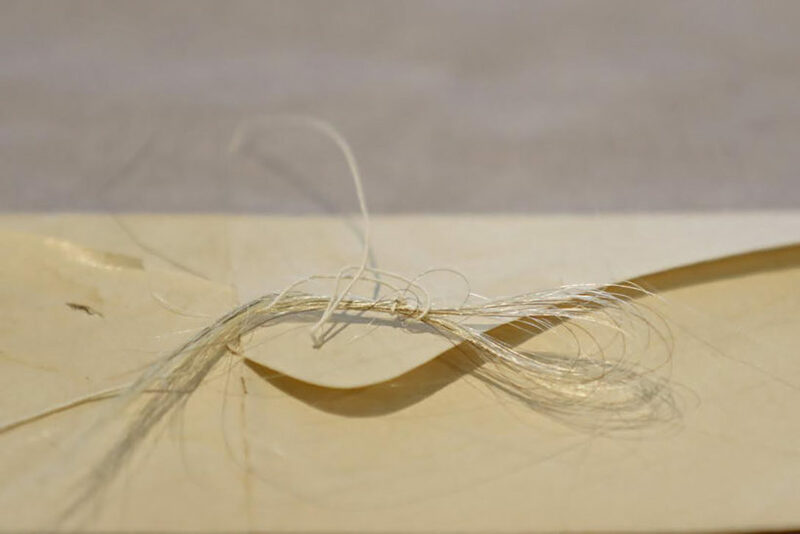 India Spartz, head of special collections and archives at Union’s Schaffer Library, is now working to preserve the hairs, which the college plans to put on display. (By Ben Hooper, UPI, Feb. 15, 2018) — A Kentucky elementary school announced it broke a world record by gathering 556 people dressed as Abraham Lincoln. 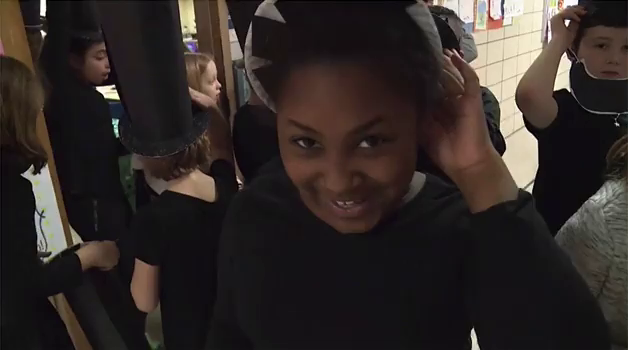 Officials at Lincoln Elementary School in Louisville said 556 people, including students and faculty members, donned stovepipe hats and chinstrap beards to break the record for most people dressed as Abraham Lincoln in one place. The school is submitting records and evidence from the event to Guinness, which lists the current record as 250 Abe Lincolns. [Larry Elliott, a Lincoln impersonator, also attended the event, where he delivered the Gettysburg Address to the children. He held a cake as the students sang “Happy Birthday.”].